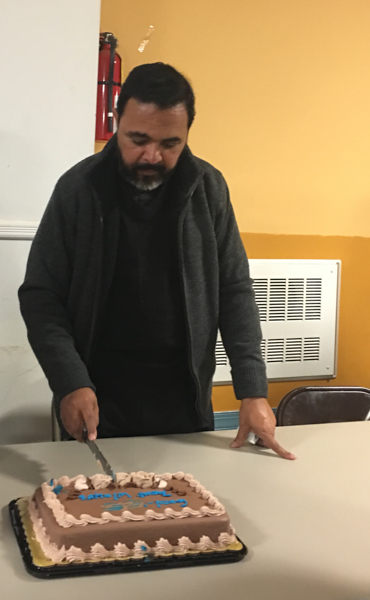 Sunday, February 7, 2016 was our achen, Rev. Fr. 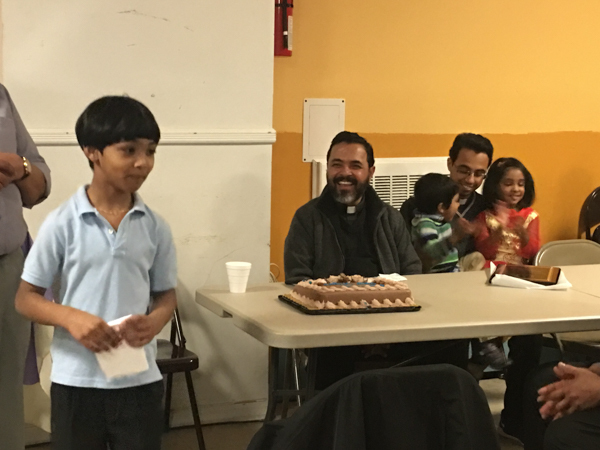 Dr. Varghese Manikat’s, last day serving as vicar. Rev. Fr. 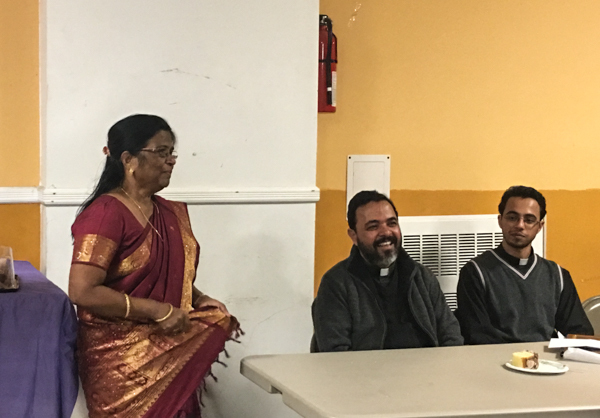 Manikat has been with St. Mary’s Church Floral Park since its inception in 2011. 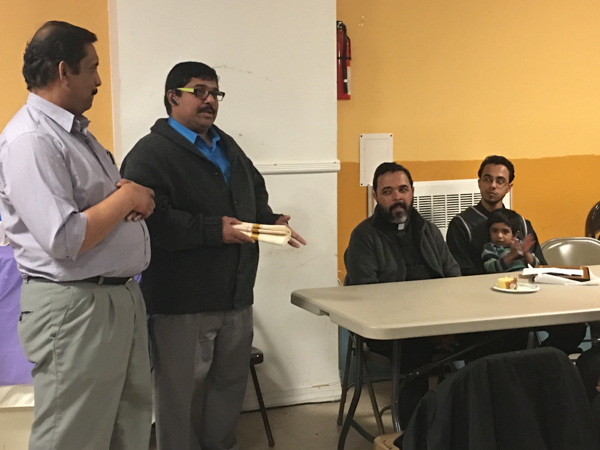 Manikat Achen served 5 years at St. Mary’s and has led the church spiritually and given guidance to its spiritual organizations. 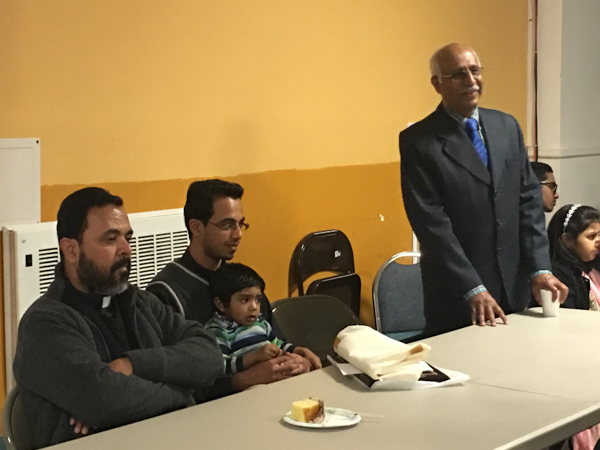 Under Manikat Achen’s tenure the church has grown significantly and has had many accomplishments. 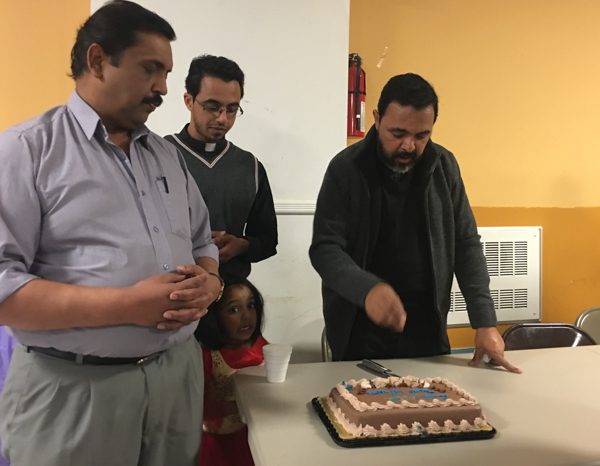 We thank Manikat Achen for his time at St. Mary’s and wish him all the best as he goes on to be the vicar at St. George Syriac Orthodox Church, Northern Virginia and also at St. Paul’s Syrian Orthodox Church, Broomall, PA. We welcome our new achens Rev. Fr. Jerry Jacob and Rev. Fr. Joel Jacob. 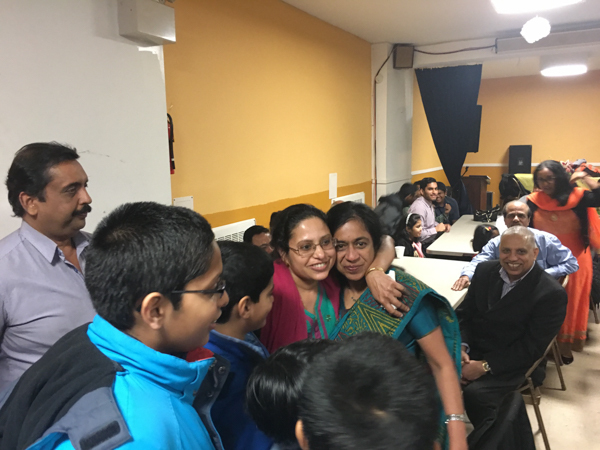 These are some pictures from Manikat Achen’s send off. 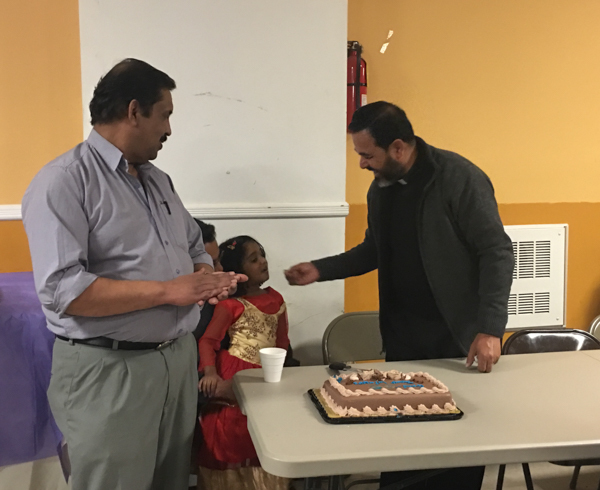 Secretary George Mathew made the introduction speech followed by a cake cutting for Achen. 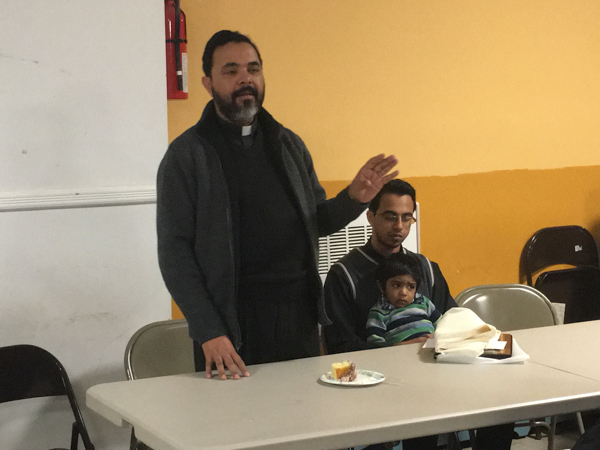 Cyril Shaji made a speech representing the Sunday School. 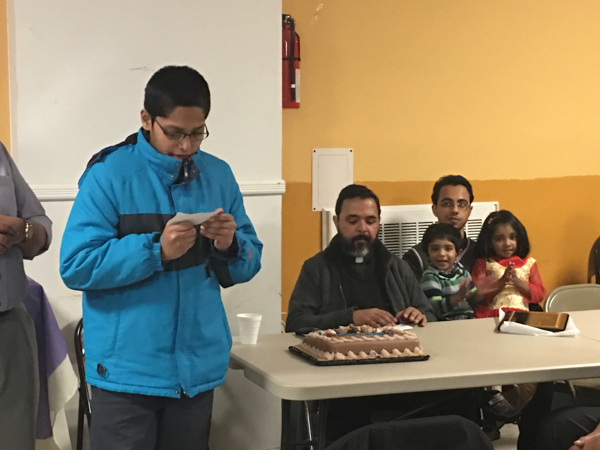 Nithin Reji made a speech representing the Sunday School. 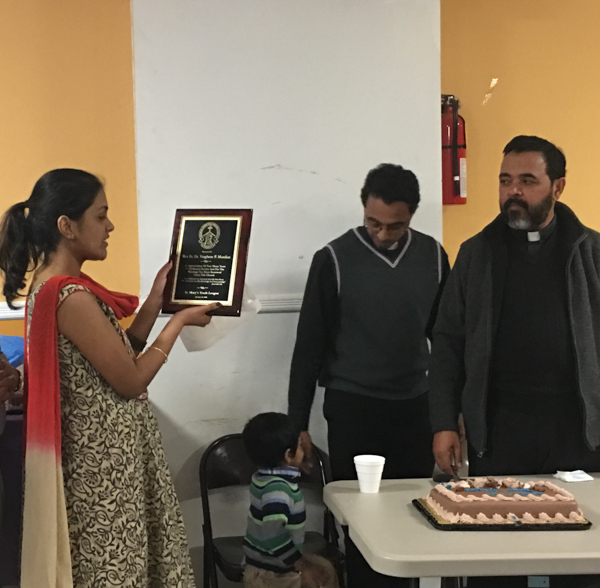 Ammai was presented a gift from the Sunday School for her dedication to the Sunday School program. 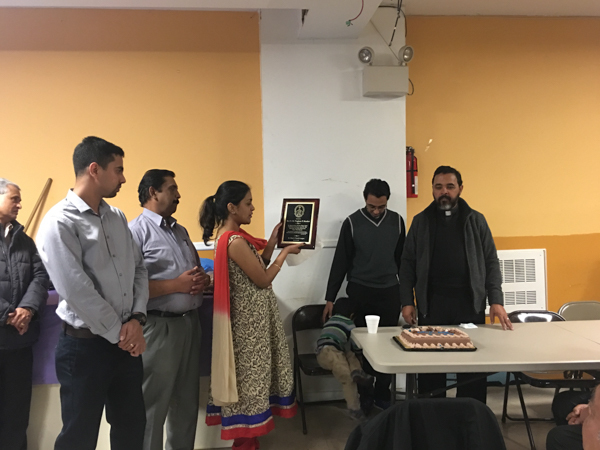 Youth Secretary, Reny Mathew, and Youth Treasurer, Jinson Pathrose, presented Achen with a plaque by the Youth League. K.T. 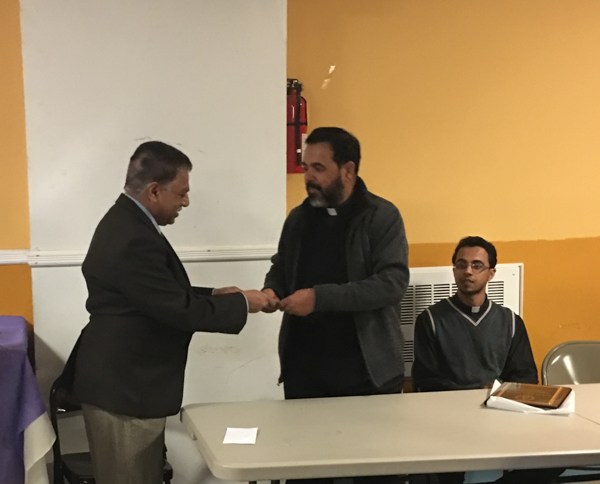 John presented the gift to Achen from St. Mary’s Church. 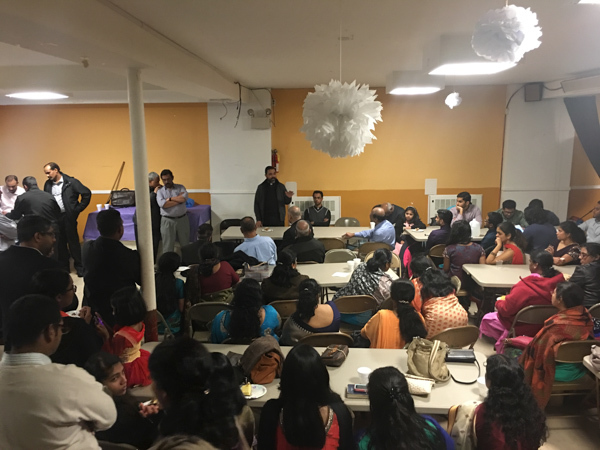 Sosamma John gave a speech honoring Achen. 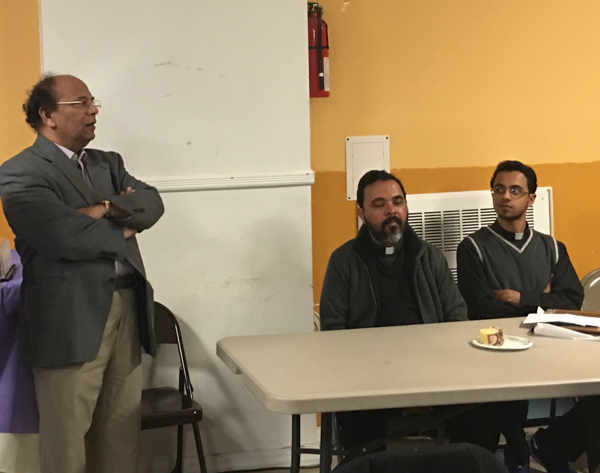 Pastor Varkey gave a speech honoring Achen. 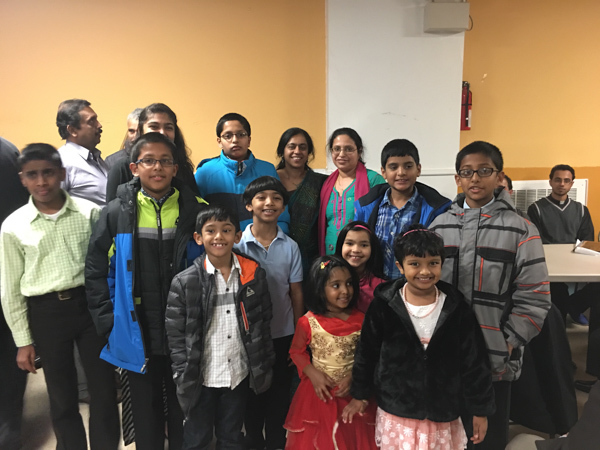 Kuriakose Mundakal gave a speech honoring Achen. 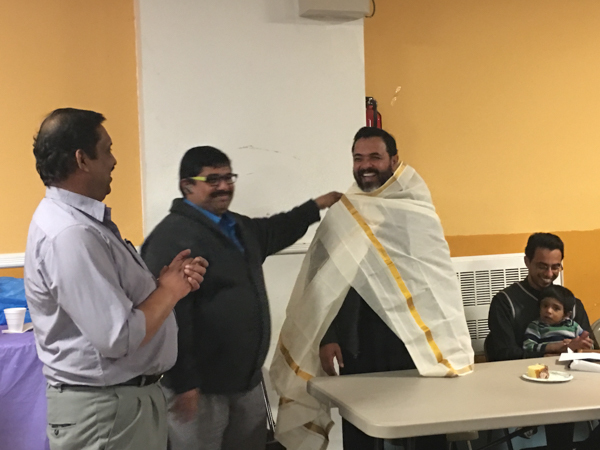 Saji Varghese presented Achen with a ponnada respresenting the atlar servers. 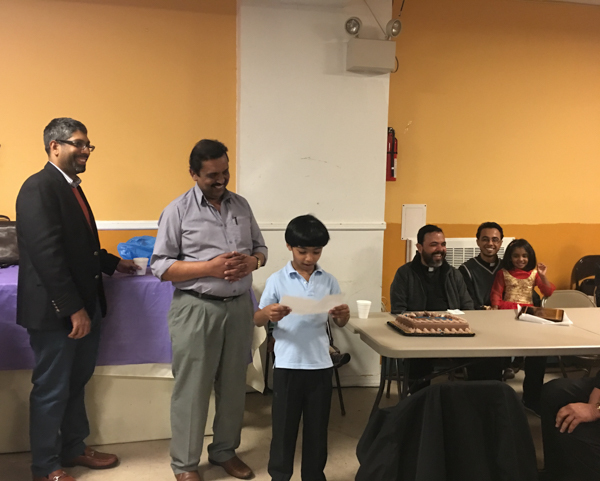 Manikat achen gave his well wishes to St. Mary’s church.